At Desert Car Care McQueen, we pride ourselves not only on providing top-notch mechanical services for your vehicle, but on motorist safety. 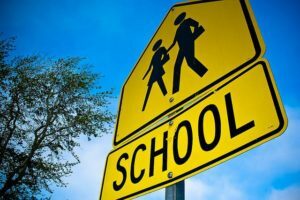 With school resuming all around the Valley, from elementary to college, we want to ensure the safety of drivers and pedestrians with back-to-school driving safety tips. According to the American Automobile Association (AAA), about 13 percent of school children nationwide walk to their neighborhood schools. Being children, though, they will not be paying as close attention to their safety as parents, drivers, crossing guards and school staff will be. It’s particularly important that drivers be hyperaware in school zones and in neighborhoods near schools, particularly during morning arrival times and afternoon release times. AAA noted that one fourt of child pedestrian fatalities occurs between 3 p.m. and 7 p.m., prime hours for school releases and afterschool activities. Slow down and adhere to the 15 MPH speeds in school zones while children are darting through crosswalks, between parked cars, and parking lots. Stop for crossing guards and stopped school buses. Be alert for children crossing streets unexpectedly to catch a bus or reach a car. Reduce distractions – that means NO cellphones. Keep your mind focused on the road and safety while driving near children. Use extreme caution when reversing! Young children may not be visible in your rear or side-view mirrors. Avoid tragedy by very slowly reversing, making sure anyone behind the vehicle has time to move in the event you didn’t see them. Be on the watch for bicyclists and skateboarders. Many young people zip to and from their schools on bicycles, scooters, and skateboards. It’s easy for children to lose their balance or run off a sidewalk. Be alert for a child accidentally landing in the roadway on their mode of transportation. If you have a teenage driver, talk to them about these safety tips and ensure they know to watch out for young children to and from their drive to high school, community college, or university. Remind them of being alert for other young drivers who might not be paying close attention. Instruct them to drive defensively and safely. Follow the drop-off and pick-up rules at your child’s school. The procedures are in place for maximum safety, and if you are not complying that puts yours and other children’s lives at risk. Try to drop off children from the side of the vehicle closest the sidewalk, so they don’t have to walk in front of or behind parked vehicles. This will reduce the chance of another driver not seeing them. When driving in neighborhoods, watch for children darting from homes, garages, and nearby parks and walks ways on their way to and from school. And most important, simply be patient while driving during school hours. Your patience and diligence will keep children safe.